Our guides are what makes Cape LaHave Adventures exceptional. They are passionate & professional. They know the areas we paddle in intimately, and they are keen to share their knowledge and love for these areas with our guests. They all hold certifications with nationally recognized organizations such as Paddle Canada, Red Cross Canada & Wilderness Medical Associates. Our guides are what make Cape LaHave Adventures exceptional. They are passionate and professional. They are experts on Nova Scotia kayaking and paddleboard trips and tours, and they are keen to share their knowledge with our guests. They have vetted experience and all hold certifications with nationally recognized organizations such as Paddle Canada, the Canadian Red Cross & Wilderness Medical Associates. Scott first learned to paddle as a child on the rivers, lakes and ocean of Nova Scotia’s South Shore. 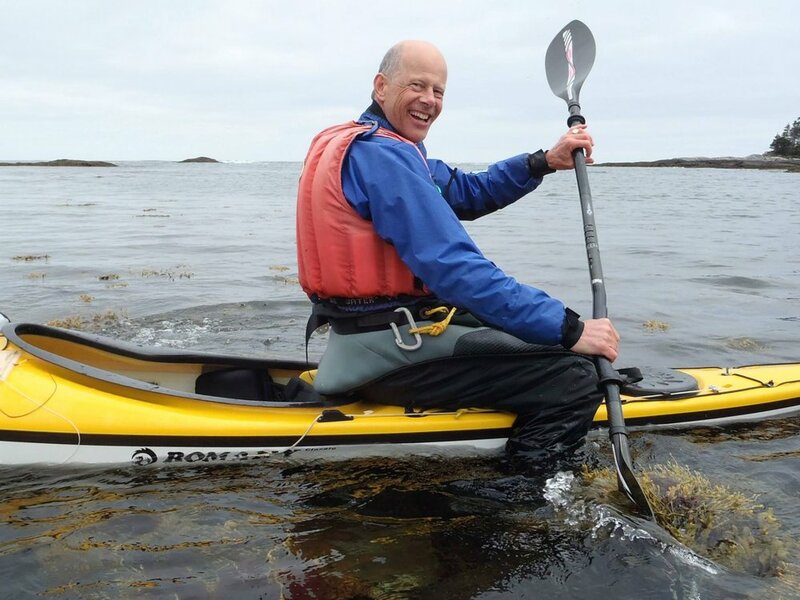 With over 15 years of experience guiding sea-kayaking trips from Antarctica to the Norwegian Arctic and from Newfoundland to coastal British Columbia, Scott is excited to return to Nova Scotia’s South Shore as a co-founder of Cape LaHave Adventures. Scott holds degrees in Outdoor Experiential Education and a Masters of Environmental Studies specializing in Environmental and Sustainability Education. He has worked extensively in the wilderness guiding and outdoor education field in a wide range of programmes with such organizations as East Coast Outfitters, the Nova Scotia Sea School, Outward Bound Canada, Quark Expeditions and Coastline Challenges. A certified canoe, SUP and kayak Instructor with Paddle Canada, having extensive open-ocean guiding experience and an easy going attitude, Scott delivers safe, fun and accessible trips for all populations and skill levels. While Sarah has always loved the outdoors, she didn't consider a career outside until she found herself taking a break from urban planning to run a ship-based yoga program in Antarctica. Inspired by the transformative potential of combining exceptional wilderness experiences with yoga & meditation, she decided to continue down this unexpected and wild garden path. This has led her on many great paddling adventures, from Patagonia to Newfoundland. As co-founder of Cape LaHave Adventures, you'll find her on the water guiding & instructing, putting together next year's brochure or out teaching yoga on a remote island beach. Sarah is Paddle Canada Instructor for sea kayaking & SUP (Advanced Flatwater, Touring and River), and an a 500hr Advanced Yoga Instructor. She has served as the director of Stand-Up Paddleboard Instruction for Canoe Kayak Nova Scotia. Sarah loves meeting new people and helping them them unplug, experience beautiful places by water and nourish themselves. Logan is as an easygoing, enthusiastic South Shore local whose lifestyle revolves around his love of the ocean. Friends and family know him to be a surf addict and adrenaline junkie. His endless search for waves and experiences has led him to places like Australia, Mexico and Central America. Logan enrolled in the Canadian Outdoor Leadership Training program based on Vancouver Island in 2011. During the course he developed skills in sea kayaking, whitewater kayaking, flatwater canoeing and whitewater canoeing. He has his Assistant Guide Certification with the Sea Kayak Guides Alliance of BC and Paddle Canada Level 2 Skills. 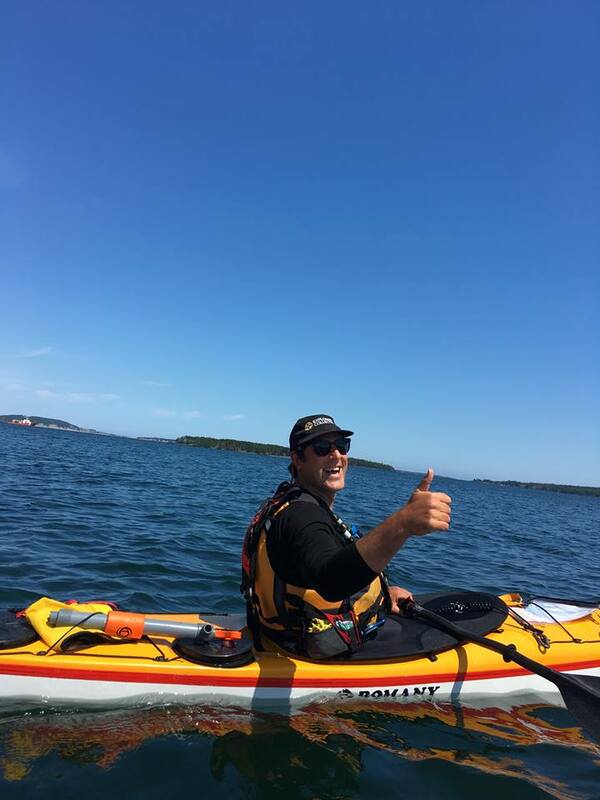 Logan has spent much time kayaking for pleasure, and in the past few years, guiding Nova Scotia kayaking and SUP tours with Cape LaHave Adventures. Robert started paddling kayaks in 1992 and initially paddled only white water. In about 2005 he started paddling sea kayaks and decided teaching and guiding would be a good way of staying out of trouble during retirement. He now holds Paddle Canada level 3 skills and level 1 instructor and British Canoe Union Sea Kayak 4* leader award, coastal navigation certificate and wilderness first aid. Crystal grew up swimming and fishing and sailing in the warm waters of the Gulf of Mexico, but moved to Ontario in the early 90’s. Determined to be as much in and on the water as possible she found her passion in Canoe Tripping and became a guide for summer camps starting in the late 90’s. She has guided flat and moving water canoe trips in Ontario and Quebec as well teaching herself whitewater kayaking on the Petawawa and Ottawa Rivers. Hap Wilson...need I say more? Being an emergency medicine junkie is evident in her climb from being a lifeguard to lifeguard competitor and provincial champion, ski patrol to ski patrol competitor, wilderness medicine instructor to finding a niche as a nurse. Crystal has Sea Kayak Level 2 and Moving water SUP certification with Paddle Canada. She was also an instructor for Wilderness Medical Associates in Ontario and Alberta, and maintains her Wilderness First Responder course. Paul Pilon has been guiding since 2007 and is a Paddle Canada certified seakayaking instructor. He has worked for companies in Saint Margaret’s Bay, North River in Cape Breton, Lake Banook, and Blue Rocks near Lunenburg, before joining us. He has guided everything from sunset cruises to multi-day camping tours and has even set-up groups of kayaks as sailing rafts to run with the wind. He loves paddling and looks forward to sharing his little corner of the sea with folks who want to experience kayaking on the big water. Jill is a kayak guide who’s been paddling her entire life. She grew up in and on the waters of South Shore, NS. She then went on to guide in the challenging waters around Vancouver Island for eight years. There she guided for YMCA adventure camps, Outdoor Centers, and Posh Day Trips out of Victoria. 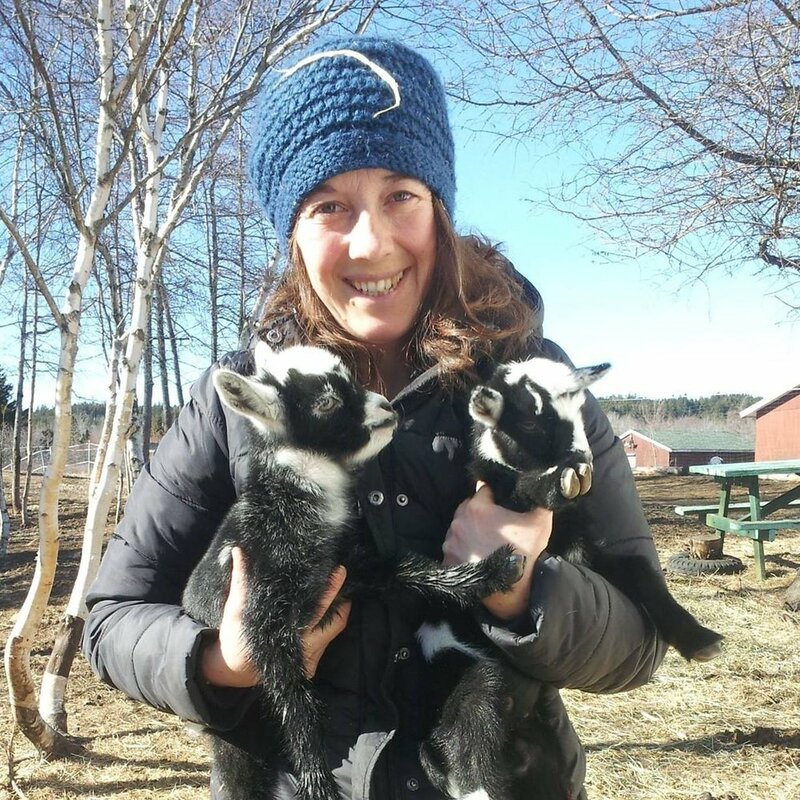 As a mom, earth educator and preschool teacher Jill fills her time exploring the waters and forests around LaHave and taking care of her small farm. Something special Jill brings to her guided tours is her love and knowledge of local flora and fauna. She might even get you to eat sea weed! Andrew brings a wealth of experience to the Cape LaHave Adventures team for 2017. In Scotland Andrew ran a SUP wilderness exploration company where he guided his clientele during adventures on lochs, rivers, and off the coast. Besides over eight years of SUPing, Andrew enjoys surfing and has had a lifelong love of windsurfing. Andrew brings knowledge and passion to all he does on the water, offering clients attentive safe lessons without losing a playful sense of fun. Being born and raised on the South Shore of Nova Scotia will make anyone into a lover of the Atlantic Ocean, so for someone like Duff, living his whole life a 30 second walk from the water, he has become quite fond of the sea. Duff is adventurous and sagacious; while new to the paddling world, his training in karate makes him a ninja in our shop, juggling bookings, rentals and inquiries. He also holds certifications in kayaking and standup paddle boarding with Paddle Canada. places like Lake Nicaragua, Bocas del Torres and even the Amazon River. He can catch a grape in his mouth from 30 meters. Marlene began working on the water on whale watching vessels and as a naturalist and diver in the St. Lawrence Estuary where she first discovered sea kayaking. Originally from Quebec, her passion for sea life took her to the Bamfield Marine Station where she studied Marine Biology. On Vancouver Island her first job was also her first experience as a sea kayak guide, in the inner harbour of Victoria. She gained more and more confidence in her sea kayaking skills spending many days and nights in the Broken Group archipelagos. During her ten years on the West Coast, Marlene also became a middle school science teacher and started to practice Ashtanga yoga regularly. Marlene now lives on the Atlantic in a little community called Bayport. She has completed a 300-hour yoga instructor course with Therapeutic Approach of Yoga in Halifax; Paddle Canada certification and wilderness first aid. She also holds her day skipper sailing training certificate with the Canadian Forces Sailing Association as well as her pleasure craft operator license. Britt has been hooked on the ocean since her earliest years. She grew up exploring the southern coast of British Columbia by sail and rowboat. Later, her love of the ocean led her out into blue water. She’s sailed across the Atlantic twice, has logged over 30,000 nautical miles at sea, crossed the equator tied to a line and dragged behind a tall ship (much like a piece of shark bait), and hit in the head by a flying fish. Britt began guiding kayaking trips in the Great Bear Rainforest of British Columbia, sharing waters with foraging humpbacks and iridescent nudibranchs. She holds a Paddle Canada Level Two Certification. A keen believer in the transformative powers of physical activity and outdoor pursuits, Britt knows first-hand that the same shift in perspective and sense of joy brought about by large-scale adventures are attainable in journeys close to home. Adventure, and the joy it brings, is more a state of mind and way of living than a destination on the map. Britt holds an undergraduate degree from Dalhousie and a graduate degree from the University of Victoria. When she’s not busy playing outside, she works as a health promotor for the government, where she researches and implements programmes, policies and infrastructure development to increase the physical activity levels of people of all ages in the Municipality of Lunenburg. In this role, she draws inspiration from progressive Scandinavian social policy, and collaborates with researchers and educators in Norway to bring exciting changes to the education system in Nova Scotia. With the sense of humour of a middle-aged dad and the sense of curiosity and joy of a small child, Britt is always ready to share a cheesy joke and the joy of discovering the wonders of life along the shoreline.